This is where I spend most of my day, most of my days. I try to keep everything at hand. Just off to the right of the alcohol wipes is my painting area and a docking setup for my iPad so I can access reference, email and iTunes through the AppleTV. 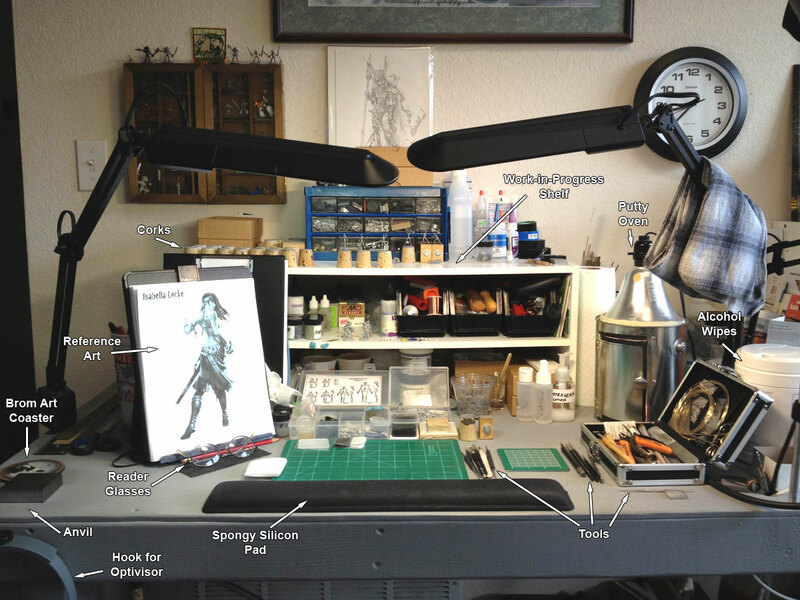 Nice workbench! Mine looks exactly the same if it exploded and random debris fell down on it. I wish I could zoom in and take a sneak peek at what you're working on!